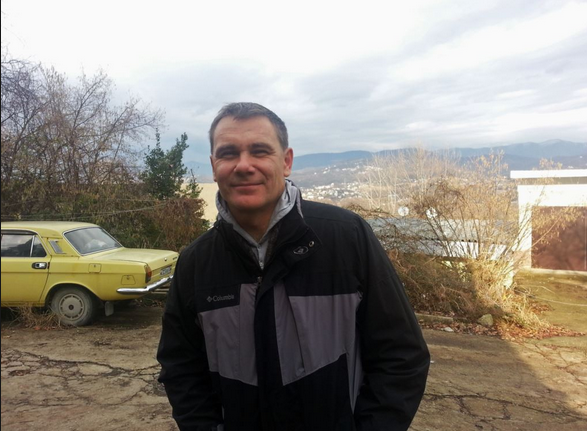 Yevgeny Vitishko, the environmental prisoner and anti-Olympic campaigner who was recently threatened with a transfer to a harsher prison, is for the moment staying put, his lawyer Alexander Popkov told Bellona in an email interview. Popkov told Bellona that Vitishko was no longer in the quarantine unit in preparation for transfer to a harsher prison colony and was back among the general population at the Sadovaya Settlement colony in the Tambov region. “Zhenya [Yevgeny] got hold of me by phone and said everything is okay and that he is not being transferred anywhere,” Popkov wrote. “I don’t really get what happened – either [activists] made enough noise, or the authorities weren’t really planning on transferring him in the first place,” said Popkov, who added it might have been a tactic to throw everyone off balance. Vitishko has numerous times disappeared from sight during prison and jail transfers since his incarceration began on February 12 this year. If so, it would seem that pubic outcry won the day for once. Amnesty International led a vigorous campaign called “Speak out Russia” between October 6 to 12 to draw attention to Vitishko’s plight, and President Vladimir Putin’s ongoing march against the most basic of human rights. Vitishko has been declared by Amnesty to be a prisoner of conscience. Neither Popkov nor his Krasnodar based lawyer Marina Dubrovina had been notified of a possible transfer for Vitishko from the minimum security Sadovaya colony to medium security facility, which would have drastically lessened the number and frequency of visits he would have been able to receive, and would have implied much rougher conditions. Last week prison officials and the Public Oversight Committee, a prisoner’s rights organization that falls under the aegis of the Presidential Council on Human Rights, confirmed to Bellona that Vitishko was getting ready for another prison transfer, this time to an unknown medium security facility in what his supporters said were reprisals for Vitishko’s exposure of prisoner beatings at the colony. Prison officials reached again on Tuesday by Bellona this time round refused to comment on Vitishko’s whereabouts altogether. Vitishko’s colleagues at EWNC – with whom he authored a damning report on the environmental damages caused to Russia’s Black Sea protected lands by Putin’s showcase, $51 billion 2014 Sochi Winter Olympics – also reported they had last heard from Vitishko in September 29. That was a few days after a September 24 appeal for his freedom, brought by the very prosecutors who imprisoned him, was denied. Prosecutors asked the Krasnodar regional court to reverse its sentence based on numerous procedural violations in the case that landed Vitishko in prison, and before that, on a two year suspended sentence with probation. Vitishko’s current incarceration came about when, on February 12, he launched an appeal in the Krasnodar Regional court to have the suspended sentence vacated. At the time of that hearing, he was defending himself via video link to the Krasnodar regional court from a jail cell in his hometown of Tuapse, 120 kilometers northwest of Sochi, where he was serving a 15-day administrative sentence on trumped up charges of swearing in public. The Krasnodar court rejected that appeal after two minutes of deliberation, and turned his two-year suspended sentences into a three-year custodial one. During the course of his imprisonment, Vitishko has issued released via telephone and to visiting activists about mass beatings of prisoners by guards at the Sadovaya facility. All this for alleged graffiti? The crime Vitishko was imprisoned for was the alleged spray painting of a construction fence on public lands on the Black Sea coast, where Krasnodar Regional Governor Alexander Tkachev was building a lavish summer home. Ironically, forestry officials for the Krasnodar Region have said numerous times they have no record of the fence’s existence. 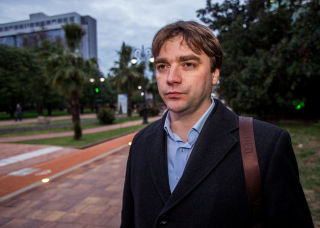 EWNC activist and 2014 Goldman Prize laureate Suren Gazaryan, who was also sentenced with Vitishko to a two-year suspended sentence, later fled the country when he led a demonstration against the construction of Putin’s $1 billion mansion, also on the Black Sea coast. Gazaryan and other activists who were present for the “fence incident,” as it has come to be known, have identified two tag-alongs to the 2011 protest in interviews with Bellona as the ones who spray painted “This is our forest” and “Tkachev is a Thief” on the fence.